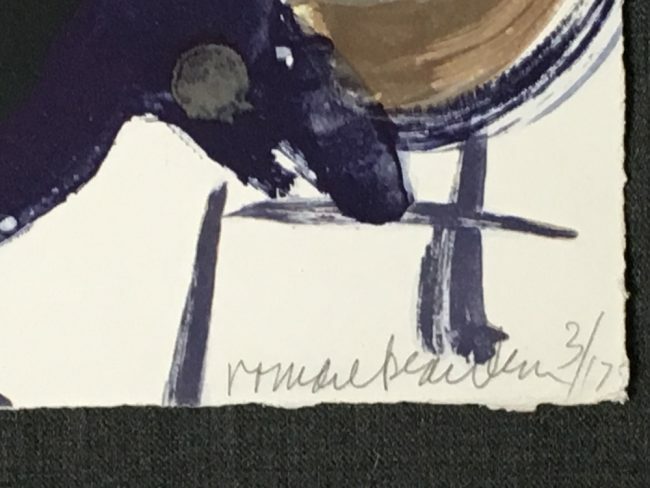 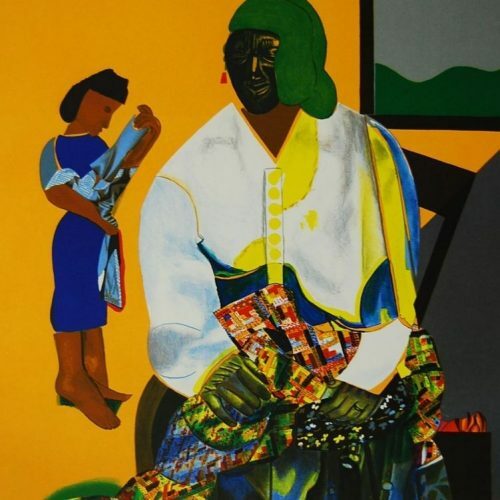 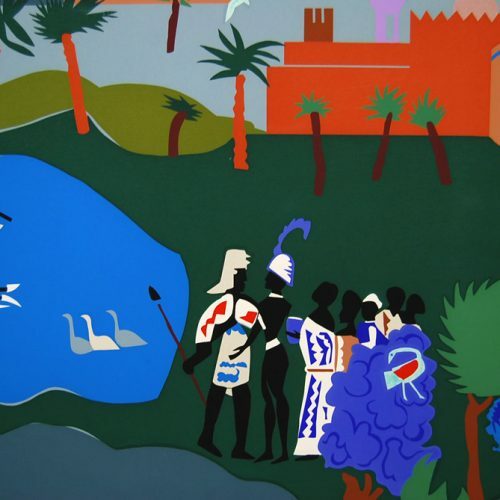 Romare Bearden is regarded as one of America's master painters and collagists. 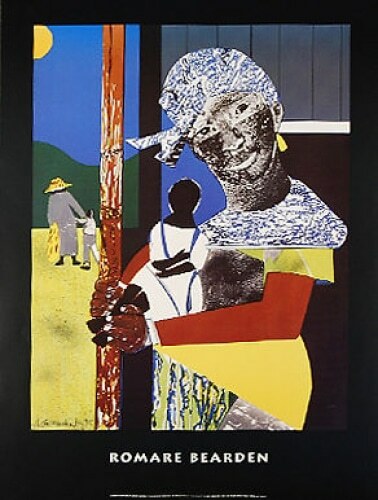 Bearden is known as an innovator, integrating many techniques to achieve his unique style of collage. 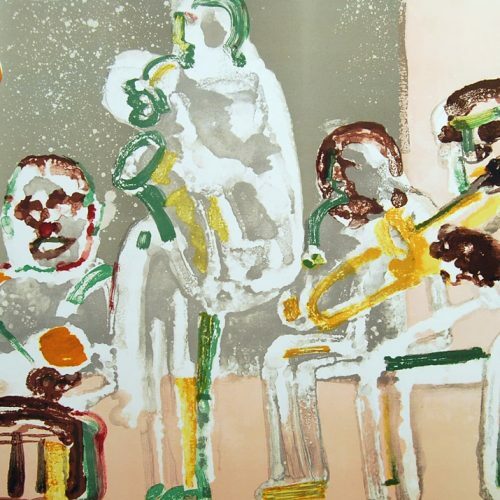 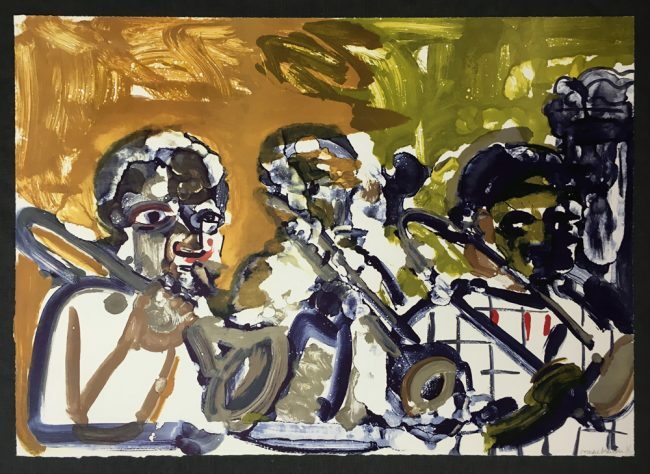 His childhood memories and art historical influences are blended and transformed to create an original and exciting narrative on African-American history and the dynamic world of jazz. 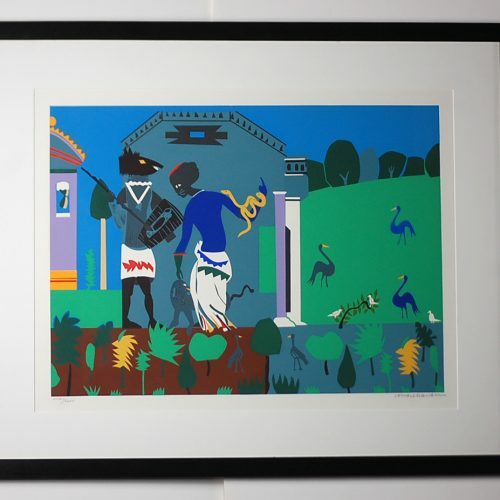 He is famous for his collages and assemblages mixed with over-paint, and is highly regarded as one of the century's most inventive print makers, in a league with Charles White and Jacob Lawrence and in the line of Picasso, Braque and Robert Rauschenberg.